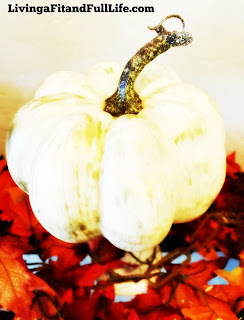 The At Home store has a massive selection of specialty products for Halloween at an everyday low price to help you decorate your home on a budget. I absolutely love Halloween and usually decorate every nook and cranny in my house to celebrate. One of my favorite places to decorate is the entry table by my front door. It's the first thing visitors seem to notice and the perfect place to decorate for the season! I recently visited the At Home store and found so many amazing finds for my Halloween table decor. These decorations would also be perfect for decorating you mantel with or using as a beautiful tablescape centerpiece! 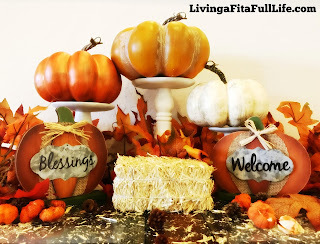 The first thing I want to share with you are these adorable little pumpkins that says "Blessings" and "Welcome". Because I'm using this Halloween decor by my front door I love the inviting messages. 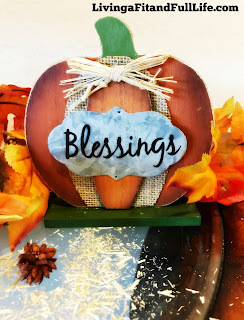 These little pumpkin signs were only $3.99 each and are worth every penny in my book! 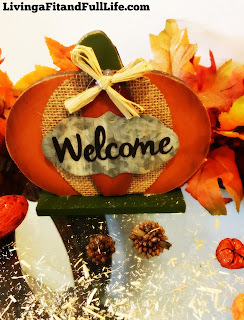 The At Home store is the perfect place to get your inspiration from as they always have their seasonal decor set up so beautifully. 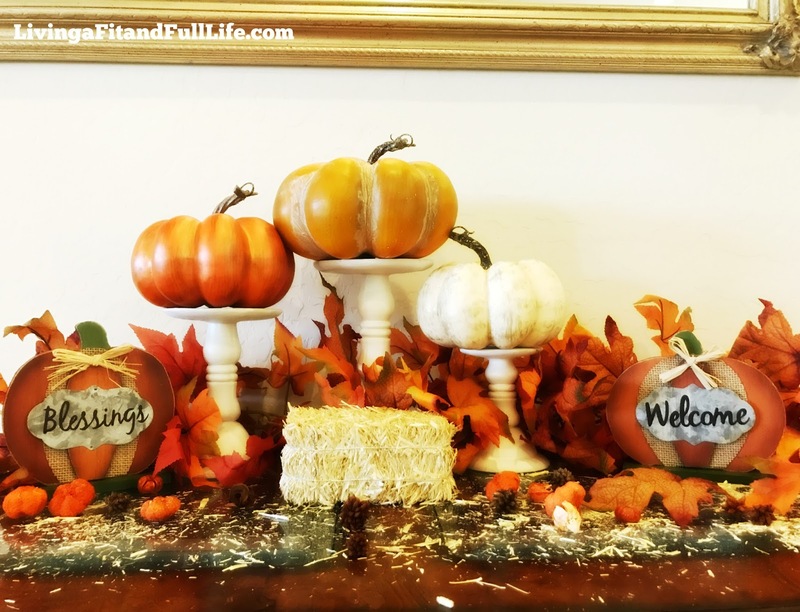 One thing I picked up from the At Home store was placing the different sized pumpkins on these simple yet beautiful candle sticks. They had similar ones in black but I love that I can use these all year round. The small one was only $3.99, the medium one was $5.99 and the large one was $7.99. All are considered a super good deal in my book, especially since I'll be able to find a use for them all year long. 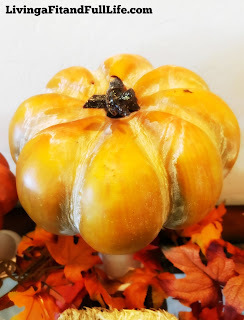 Then, since every Halloween themed decor needs a few pumpkins, I picked up this cute pumpkin that's a tad bit larger than the two below for only $6.99. 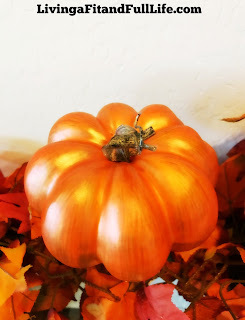 These two little pumpkins were only $4.99 and I love the gold accents on them because they match the gold mirror above my entry table perfectly. I also had to have this adorable little bale of hay! It was a steal at $1.99 and the perfect accent piece. 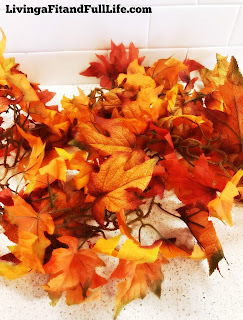 I used this beautiful garland filled with yellow, orange and red leaves to wrap around all the decorations. It added some beautiful colors to the mix and really took my decor to the next level. It was $7.99 and my decor would be the same without it! 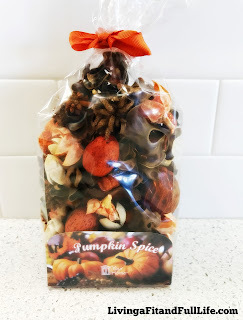 And lastly to top it all off I found this adorable bag of potpourri to add some smaller accent pieces around my decor and I love that it also helps to make everything smell like pumpkin spice. 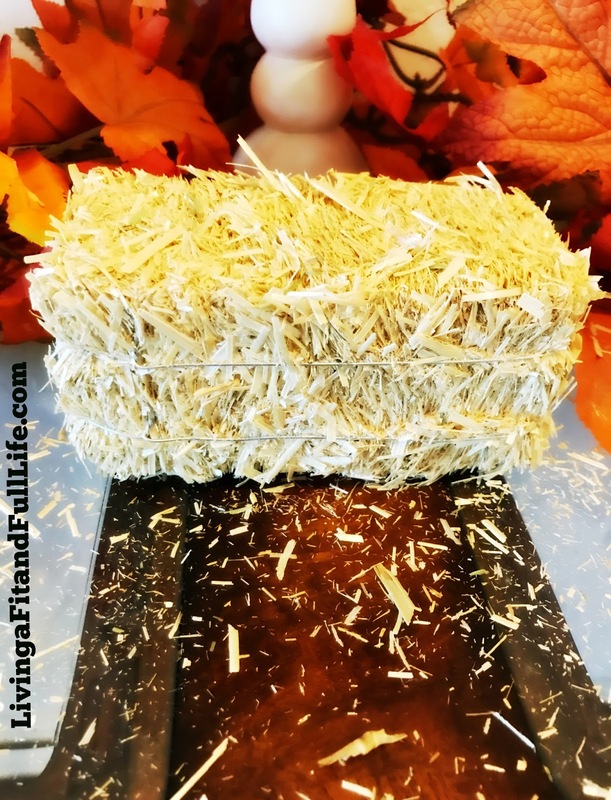 It's the perfect way to add some fragrance to your decor! It was only $5.99 and I love that it allows my guests to be greeted with a wonderful pumpkin spice fragrance as soon as they enter my home. All of this amazing decor only cost $63.63 and I couldn't be happier with how amazing it turned out! If you're looking for the perfect holiday decor to add a little holiday cheer to your home be sure to visit the At Home store today! 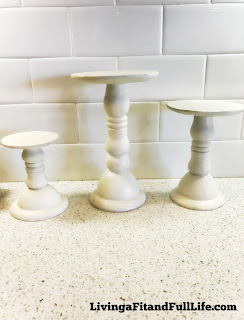 Click HERE to find an At Home Store near you! Click HERE to learn more about the At Home Store! Follow At Home on social media! Disclosure: This is a sponsored post. I received compensation in exchange for writing this feature. Although this post is sponsored, all opinions are my own.